The Mother Tongue. The World’s Language. “More than 300 million people in the world speak English and the rest … try to” this quote is from the opening lines of the non-fiction book “The Mother Tongue” by Bill Bryson. In this book, the author compiles the history, origins and quirks of the English language. In the first chapter, “The world’s language” Bryson proffers the argument that English is, in short, one of the world’s great world industries. Indeed, such is the demand to learn the language that there are now more students of English in China than there are people in the United States. Bryson discusses the place of English in contemporary society, explaining how English words and phrases have entered the vocabularies of many other languages around the globe, reflecting the power that English has in the modern world. As it is well known, English is often the neutral language chosen for international businesses that have workers and management who speak different native languages. Notwithstanding, Bryson tries to justify the popularity of the English language not with historical or political arguments. Surprisingly, he does not mention the colonization of part of the world by the British Empire and the subsequent cultural and political hegemony of the United States. The author argues the point that what sets English apart from other languages are facts such as the diversity of its vocabulary. 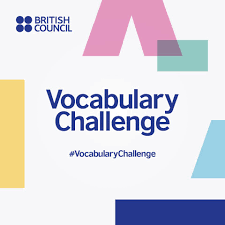 He states that “the richness of the English vocabulary, and the wealth of available synonyms, means that English speakers can often draw shades of distinction unavailable to non-English speakers”. This, I would suggest, is a statement both controversial and debatable. After a quick examination of the role that English plays in the world today, Bryson goes back in time to study the origins of language itself in the second chapter: “The dawn of Language”. But that chapter will be reviewed in the next post.